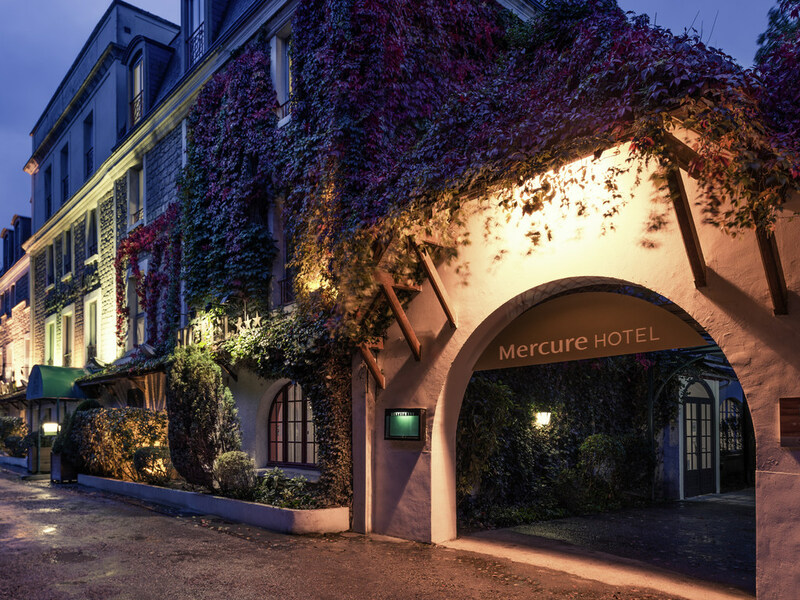 The Mercure Paris Ouest St Germain hotel is a 10-minute drive from the golf course and race course and 550 yards (500 m) on foot from the city center and its shops. In fine weather, you can enjoy the terrace and its garden. Free WIFI throughout the hotel. From September 21 to October 6, 2018, make the most of your stay in Saint-Germain-en-Laye and discover new francophone artists at the l'Estival music festival! You'll love our rooms renovated in a modern and harmonious style. Enjoy added comfort with our bedding and tea and coffee making facilities. Our bathrooms come with a rain shower or tub. WIFI access is free. Pets are not allowed. Enjoy the summer on our terrace, renovated in 2018. Succumb to the temptation of our treats and homemade iced teas. Our chef serves up delicious dishes garnished with aromatic herbs from our garden.